I don't often do urban senior sessions, but when I do, I want them to all look like this one! I've never had a senior be able to look so sweet and adorable and also so mature and serious as much as Danielle could. Seriously, my jaw was hanging open the entire time at how one moment her beautiful smile with that dimple would light up her entire face, then the next she could look like she came straight out of Vogue magazine! 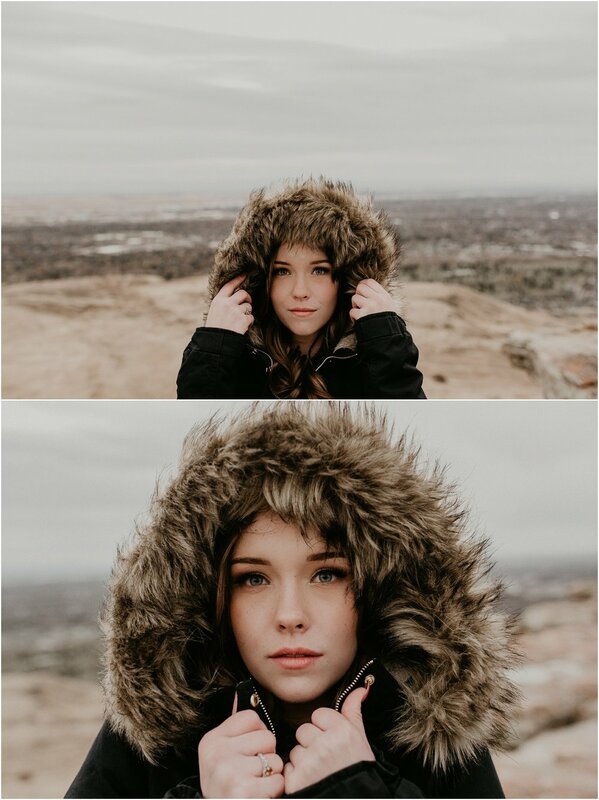 It's always fun shooting in different spaces than you're used to, but to add to it, the diversity of the shots I got with Danielle just made my heart nearly explode! I had such a blast hanging out with Danielle and her momma downtown. Danielle is seriously SOOOOO beautiful in every way, and even though I nearly got hit by a car a couple of times, it made for some very fun and natural reactions (Whatever gets you the perfect shot; who cares if it's potentially life-threatening, haha!). AND what made this session even more special was that it was right before Danielle's 18th birthday! Her momma wandered into a cute little shop down at Hyde Park while we were shooting and found a gorgeous clock that she just had to get. It was so perfect because it just represented even more this precious time of Danielle's life as she transitions into adult-hood and becoming a woman. And what a perfect momento for her mom Valerie to always look back on! We finished up our day of shooting at Table Rock (Kudos for Danielle handling the wind and cold up there!) and so we made the last shot of the day one with her holding the new clock. It's one of my favorites because of the story behind it! Danielle and Valerie, I absolutely LOVED working with both of you and am so honored I was able to capture these moments! Danielle- don't think for one second you aren't as beautiful as you are. 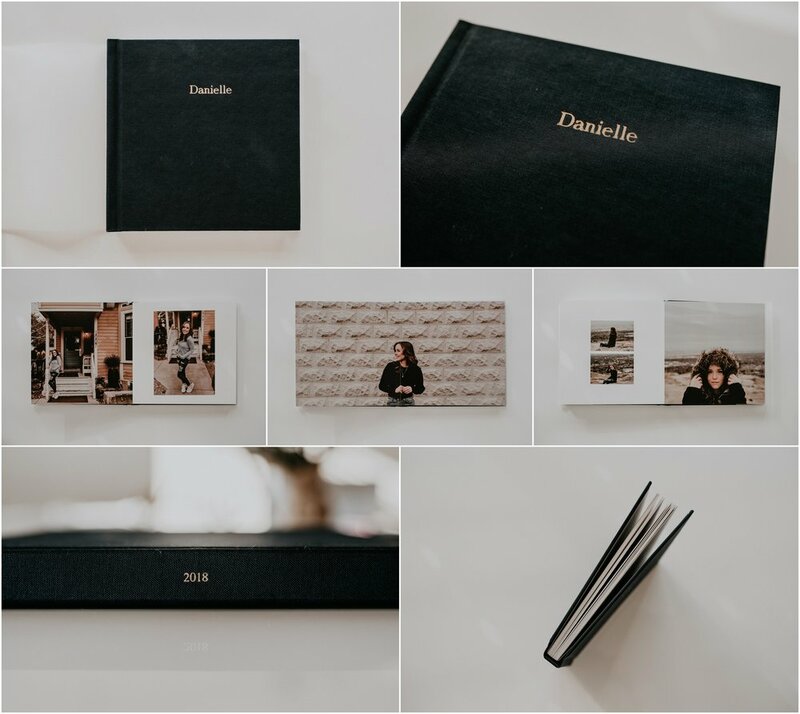 I am so happy you loved your images and have an album and gorgeous prints to look back on forever! Before you know it, graduation day will be here and you will officially be out in the "real world." I have no doubt you will go on to do incredible things after high school! Thank you both again, so very much.